'Intensity' is the best selection we have found in searching for a larger wild berry, noted for its intense, rich and full fruit flavor. Intensity has an extended ripening over a 2-week period. With excellent tolerance to shade, the leaves produce a deep green color and fruit in light shade. 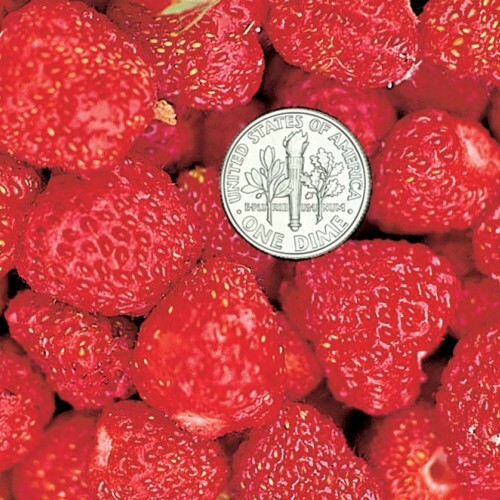 This strawberry is taller growing reaching 12” in height in good soils. Fruits are produced on a long stalk which is usually weighted over with fruit. Likely self pollinating and will not need additional wild pollinators as far as we can tell. 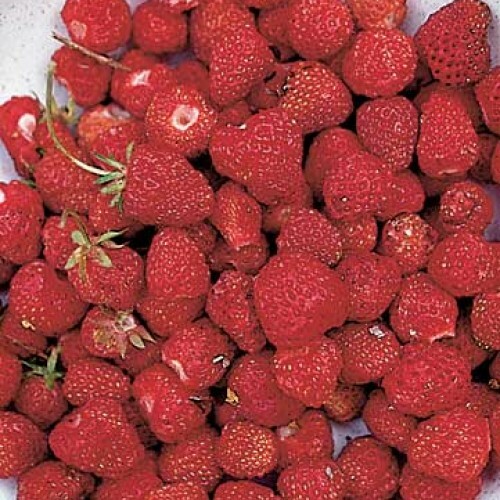 We have had excellent success with producing berries from it every year for over 15 years. 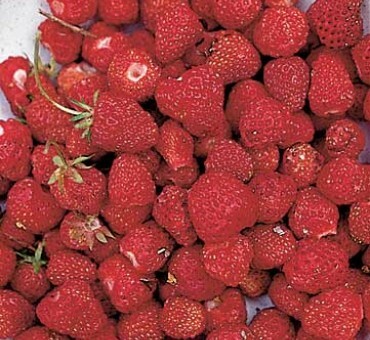 Good runner production creates a thick strawberry bed and crowns that produce well after 5 years. Produced by runners and not seed on this one. Plants are grown in tubes and come without a pot as a plug. Does best in sandy well drained soil. Zone 3-9. Did not survive in Florida. Too hot. Super easy to grow and spreads fast.